1. Love Begins in Winter: Five Stories by Simon Van Buoy. Though not all of these stories take place in cold climates, there’s something about the gentle, patient storytelling that feels like watching snowflakes pile up from the comfort of a warm house. 2. The Shipping News by Annie Proulx. Proulx’s depiction of winter on the coast of Newfoundland is unbearably cold and dark, but magical in a way that makes you want to see it for yourself. 3. The Girl With the Dragon Tattoo by Stieg Larsson. Everything that happens here is more dramatic because of the stark white landscapes of rural Sweden where it all takes place. Plus, once you read the first one you’ll be hooked, and mysteries are great winter reading! 4. On Thin Ice: Breakdowns, Whiteouts, and Survival on the World’s Deadliest Roads by Hugh Rowland. Okay, yes, I do on occasion watch Ice Road Truckers. I’ll admit it. But Hugh’s stories of wolverines and blizzards in the frozen tundra of Northern Canada and Alaska are jaw-droppingly crazy…and make anything above -60 degrees seem mild. 5. “Stopping By Woods on a Snowing Evening,” by Robert Frost. Not a book, I know, but the perfect poem to get you in the mood for the long, cold months ahead. 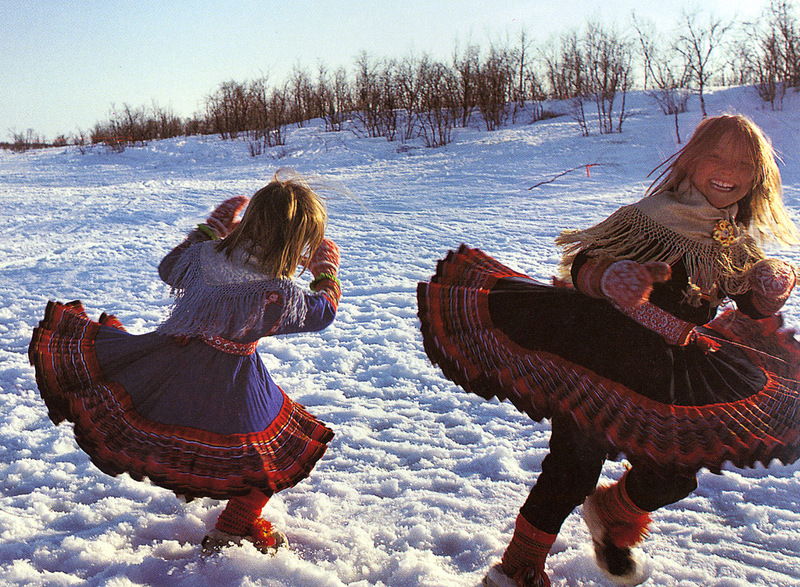 Vanishing Cultures: Far North, by Jan Reynolds. It’s always winter when you live at the top of the world! When This World Was New, by D. H. Figueredo, illustrated by Enrique O. Sanchez. What does it feel like to see snow for the very first time? What are your favorite books to get you in the mood for winter? Little Women, even though only the first few chapters are winter. Ohh, yes, Shiver. I actually read it during the summer, largely on the over-air conditioned subways, and every time I returned to the muggy aboveground world it was such a shock that it wasn’t winter! Let’s see… Eifelheim, Princess Academy, The Wolves of Willoughby Chase, The Dark is Rising, The Riddle… I’m sure I could come up with more, but that’s a good five, so I’ll stop.